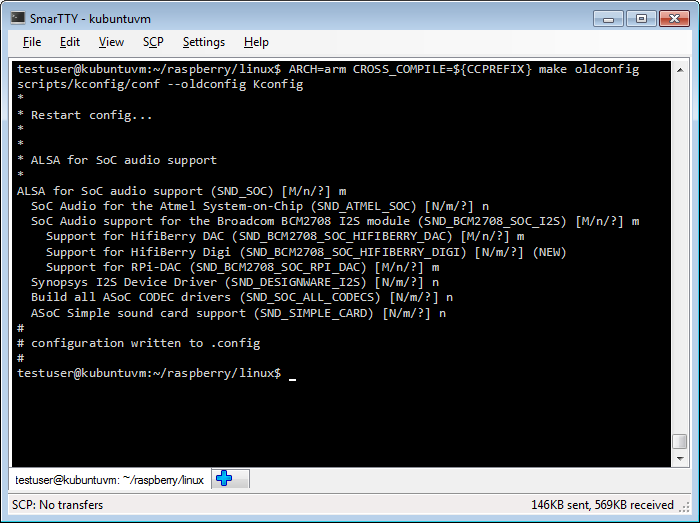 This tutorial shows how to build a Raspberry PI kernel and install it on the device. 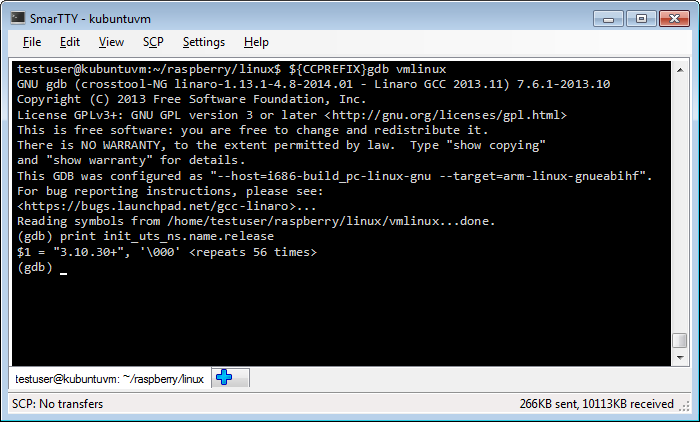 As building the kernel on Raspberry PI itself could take several days due to a relatively slow CPU, we will be using an additional Linux machine to build it. Do not forget to specify ARCH. Otherwise the kernel will be configured using x86 configuration options and will be missing ARM ones leading to a build failure. Enable the ‘DEBUG_INFO’ option and don’t enable the DEBUG_INFO_REDUCED option. Building the kernel can take several hours and can be sped up by adding a ‘-j<amount of cores>’ on a multi-core machine to parallelize the build. This will disable debug information generation for the rest of that source file, while keeping it enabled for the reset of the kernel. 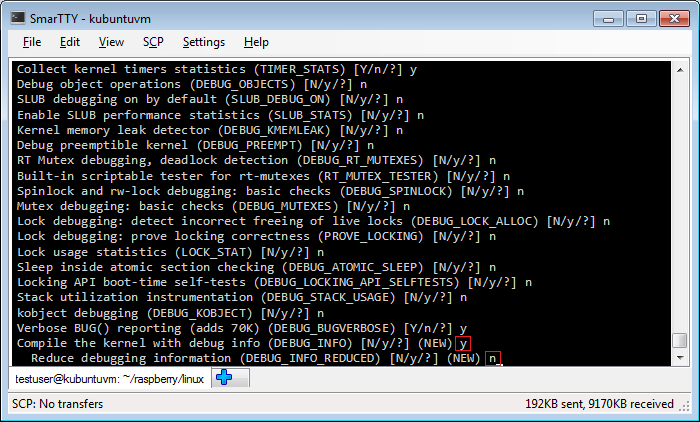 If GDB can display the kernel release string, the kernel has been built with sufficient symbols for kernel debugging. 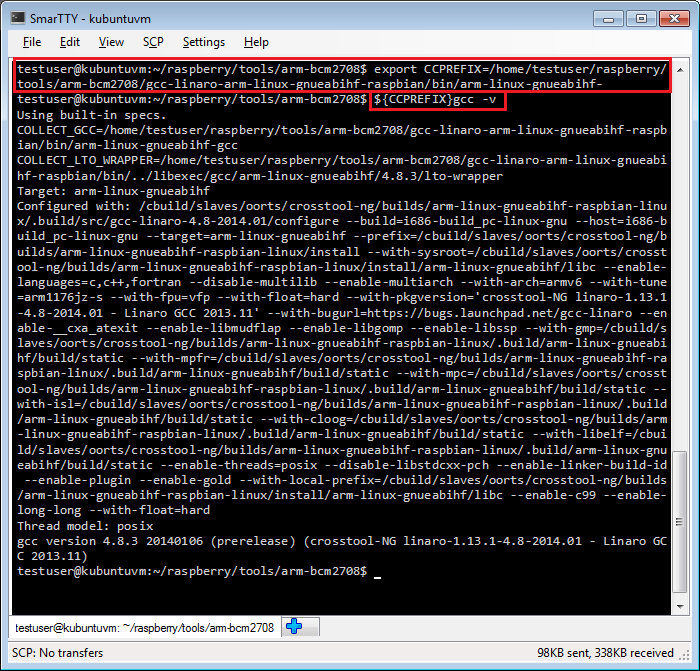 If you now list the contents of /lib/modules you will see that it now also contains the modules for the new kernel. 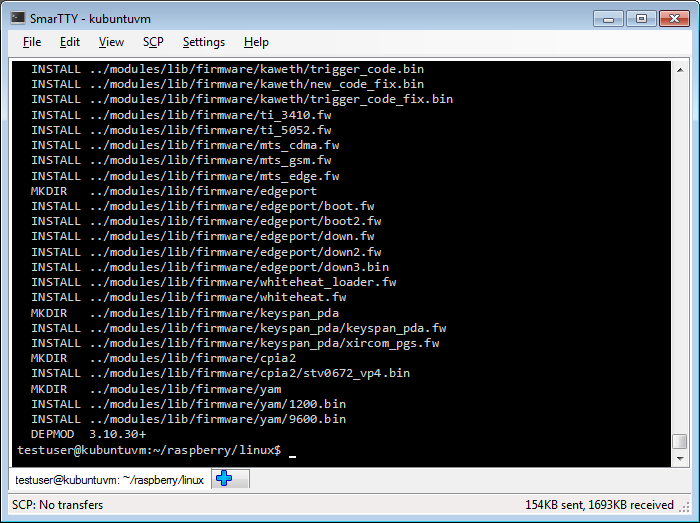 Once Raspberry PI boots, connect to it over SSH and run the ‘uname -r’ command to see the new kernel release: The release string should match the one we queried before when testing the kernel symbols. 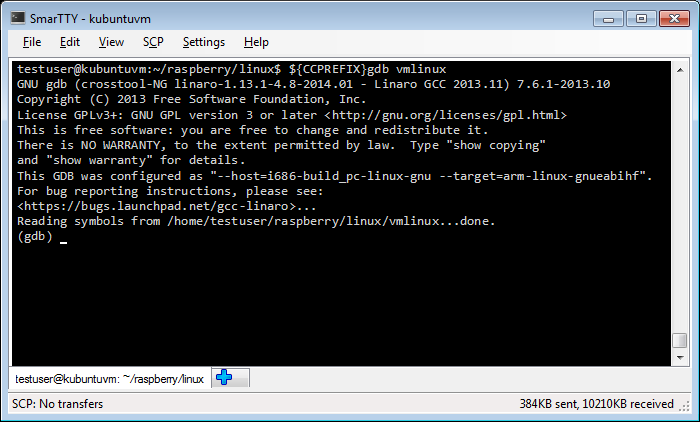 Now go to the Raspberry PI SSH window and run ‘ls /tmp’ command. The sys_open breakpoint will be triggered. 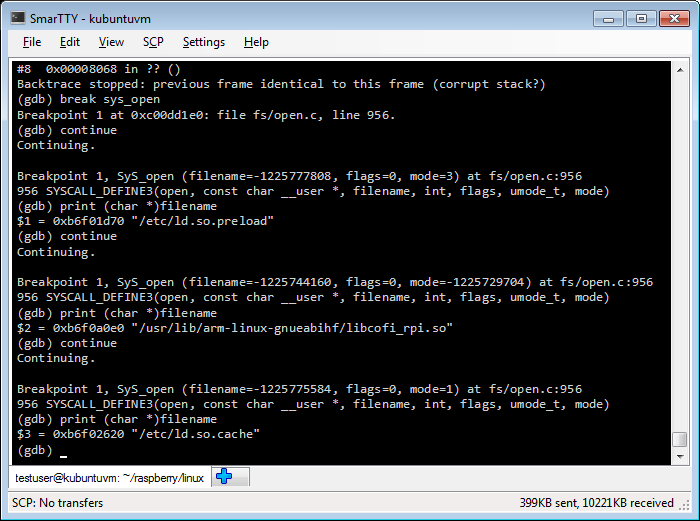 Run “print (char *)filename” to see the name of the file being opened: You will see that the Linux kernel is opening handles to libraries used by the ‘ls’ command. 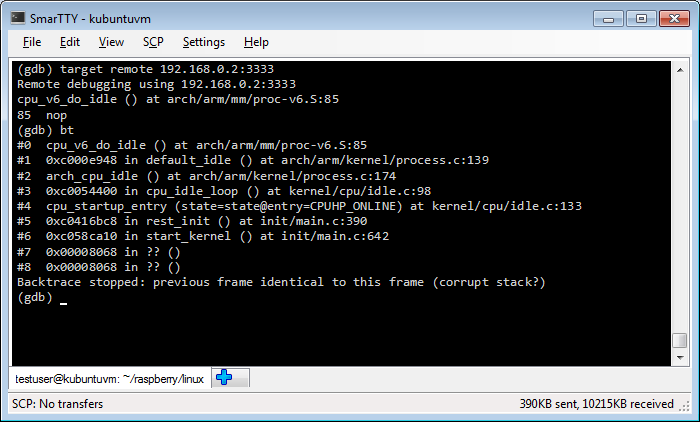 Now that the basic debugging works you can setup a VisualKernel project to create and debug a basic kernel module.